Chief Nyle Zikmund, with the Spring Lake Park-Blaine-Mounds View (Minnesota) Fire Department, has overseen a cultural transformation in his department in the past decade. Embracing community risk reduction, the department values public education equally to suppression efforts. Through training, motivation, and a focus on “constant, regular, significant and positive interaction with the community,” the Spring Lake Park-Blaine-Mounds View Fire Department leads the nation in lowest per capita fire cost and the lowest or tied for lowest injury rate. Read more about the department’s activities here in the PDF document. One of the best ways to demonstrate the effectiveness of fire prevention programs is to show what they have already done in your community. Look at programs you may have run in the past and show how they changed behaviors and improved the community. Have there been 9-1-1 calls from school children after they attended a fire safety lesson? Has the incidence of arson dropped after community education? Has there been a tragedy averted due to an installed fire sprinkler system? To make the story more impactful, show what the real cost of the fires that were prevented would have been. Demonstrate that fire prevention pays for itself. Learn more in the section on Evaluation in this Guide. City of Madison, Alabama: Fire Marshal Cary Sadler initiated a total change in the city’s inspection program that has resulted in the capability to map every street, including building footprints. The system can detail potential risk associated with commercial structures and data can be analyzed. 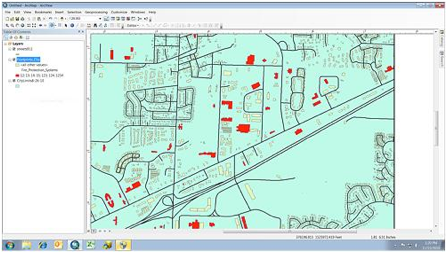 Learn more about the GIS mapping system. The city of Richmond, Virginia’s “Neighborhoods in Bloom” initiative is an impressive example of an effort to invest in neighborhood development as a method to change and improve the community’s stability. Proactive code enforcement and public safety initiatives were among the seven interdependent strategies on which the leaders of the program concentrated efforts. This program is also exemplary of outstanding research and reporting. Read the report. Oklahoma’s investment in rural firefighting improvements costs $4 million per year. That outlay reduces homeowners’ insurance premiums by an estimated $25 million per year as a result of reduced risk ratings. Read more. Despite a 20-acre wildfire in August 2010, every home in the Wilderness Ranch community of Boise, Idaho, was saved, thanks to homeowner protection with “firewise” landscaping and maintenance steps. Investing in educational outreach paid off for this community. Since 2005, the Hermon (Maine) Fire Department has been installing long-life smoke alarms in every home that has not had adequate (every-level) protection. A family of six was saved in December 2005 when a smoke alarm installed by the department signaled a furnace fire, awakening the family and giving them early warning of the fire. Grant funding can provide communities with the resources they need to carry out beneficial fire prevention activities. With good evaluation and follow-up, those same activities can help build documentation that is useful to secure fire prevention funding in the future. With funding through the Washington State Association of Fire Marshals, the Wilmington (North Carolina) Fire Department participated in an Integrated Risk Management Project to target specific communities lacking smoke alarm protection and install the devices. The department has identified at least one fire incident success story in which the new smoke alarm signaled, alerting a passerby. Two similar residential fires in Minnesota underscored the value of installed fire sprinkler protection. The Spring Lake Park-Blaine-Mounds View Fire Department compared automobile fires within attached garages – one with a fire sprinkler system (2009) and one without (2010). The unsprinklered garage fire was fully involved when firefighters arrived. It resulted in $115,000 in property and contents damage, and killed the family pet. In contrast, the sprinklered garage’s fire sprinkler system activated and prohibited smoke from entering the home. The fire caused $8,000 in contents damage (confined to the fire origin vehicle) and there were no injuries. The National Fire Protection Association’s (NFPA) Fire Sprinkler Initiative posts compelling stories about fire incidents and fire sprinkler saves on its website. Visit the Initiative. Since 1992, Prince George’s County, Maryland, has required fire sprinkler installation in new one- and two-family homes. A recent report found that from 1992-2007 there were 101 fire deaths and 328 civilian injuries in single-family home or townhouse fires without fire sprinkler systems. In sprinklered structures that experienced fires during the same time, there were no fire deaths and six civilian injuries. Scottsdale, Arizona, implemented its residential fire sprinkler ordinance in 1986. By 2001, more than 50 percent of all homes had sprinklers installed. During the 15 years of the ordinance period studied, there were no deaths in sprinklered-home fires. However, 13 people were killed in home fires where no sprinklers were installed. The average loss per sprinklered fire incident was $2,166 compared to $45,019 for unsprinklered fire loss. Read the report. Sparkles the Fire Safety Dog visited the Celia Clinton Elementary School in Tulsa, Oklahoma, and made a big impression. Two children from two families experienced home fires and knew how to respond thanks to Sparkles’ lessons. One student’s house caught fire in the middle of the night and the student reported that she crawled on the floor to stay below the smoke as she escaped. The other student experienced a microwave fire. She ushered her brothers and sisters outside to safety, having learned to get out fast if fire strikes. Read more.